This entry was posted on August 10, 2017 by Lightning Labels. The craft beer industry has historically been associated with bottles. But are these the best choice for your brewery? Consider the humble beer can, which can present an economical and convenient approach to production and labeling, helping you get your brew out to the masses. Add some custom beer can labels and aluminum cans become a perfect vessel for a beer brand. In fact, the preference for bottling may be behind the times - many breweries have been choosing canning. A recent News Journal article about craft breweries offering cans for their flagship products highlighted the perception changes that have led to aluminum's resurgence. For instance, a decade ago, cans bore a strong association with macro-brewed beers that represented the opposite of craft-brewed sophistication. Furthermore, people expected cans to adversely affect beer's taste. Now, times have changed and cans are in demand once more. 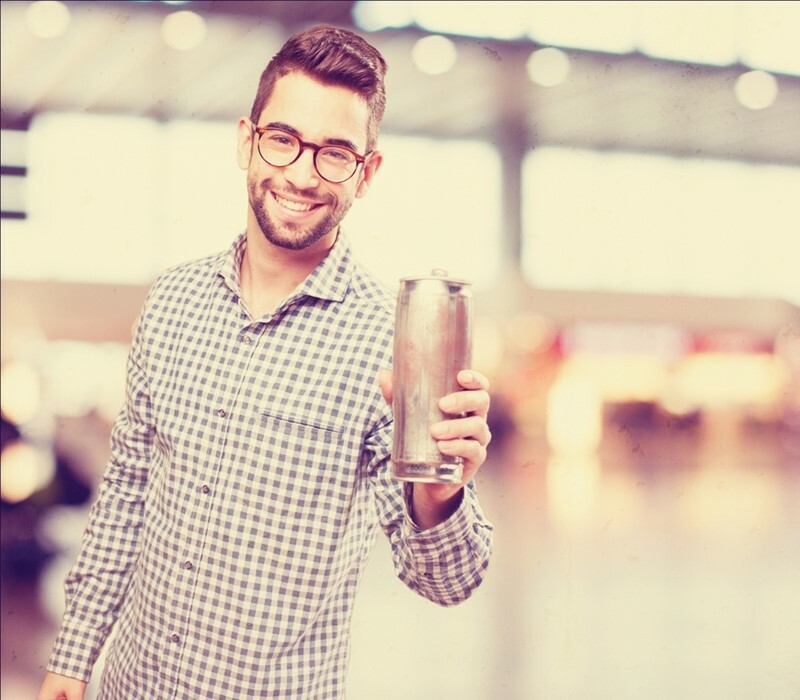 There are consumer-friendly advantages that come along with packaging beer in cans - the news provider reported that it's easier to transport a can than a bottle. Shelves at stores and in fridges are able to hold more beer when it is in cans. It's also easier to fill a recycling bin with cans, due to their shorter silhouette. The News Journal noted that the process of canning tends to be easier for breweries to take in-house when compared to bottling. The advent of trucks that contain canning lines has made packaging creation a mobile consideration, and brewers are taking notice. The Marin Independent Journal added to this chorus of support for craft brew canning. This news source pointed out the relative resilience of cans, as well as the fact that they are light and easy to carry. When consumers want beer to bring along on hikes and other trips, aluminum may be the way to go. The Independent Journal added that according to the Brewers Association's 2016 figures, 17 percent of craft beer is canned. In 2013, that figure was only 5 percent. No matter what shape, size or material a brewer turns to for its packaging, it's important to make sure the information and imagery on the label stays sharp, even as cold and wet conditions in refrigerators and coolers take their toll. This is where Lightning Labels can make a difference, with its custom canning labels resisting the elements and displaying a brewer's unique logos to the world. Picking the right material and finish for beer can labels is an important part of getting a product noticed. This is where Lightning Labels helps brewers, delivering resilient custom beer can labels, or bottle labels if brewers prefer glass to aluminum.